You are dying at 16 and you hear about cryogenics freezing your head until they have the technology to attach it to another body sometime in the future. You have been sick for ages and there is no hope. You convince your parents that it would be a good idea to freeze your head. You expect not to come back to life but if you do it would be at least 100 years in the future. You say goodbye to your family, friends and your girlfriend. Fast forward 5 years, you wake up. It seems to you that no time has passed. Once you adjust to your new body, which is much better than your old one and not sick, you expect to pick up where you left off. But your parents got rid of your stuff, your best friend is in Uni while you have to finish high school AND your girlfriend is engaged to a really nice guy and doesn’t want to see you. Rather than a returning hero you have a whole new set of problems. You never liked high school and now you are a celebrity, only 2 of the 100 cryogenic recoveries has worked so you are a miracle. You don’t feel like a miracle or a celebrity, you feel sad. You miss your old life. You go back to school and make a friend. You work towards taking your old life back. Along the road you make some sacrifices, learn some surprising things and find that you can have a new life with remnants of the old and that really is a miracle. I was reluctant to purchase this series because it looked so frivolous. As a school library we are constantly trying to lift the type of “literature” our students read. But I succumbed to some reluctant readers who really wanted to read the series. I’m very glad that I did and admit that I was wrong about the depth of the books, still not literature, but definitely much more complex and thought provoking than I imagined. So, the story goes a bit like ‘I know what you did last summer’. The four friends have something to hide and somebody knows about it. 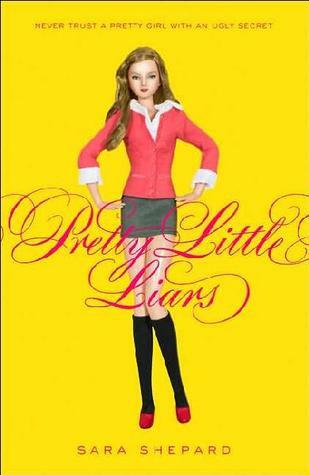 Add to this the fact that their friend Ali, the leader of the group and a not-so-nice bully goes missing. As the story progresses somebody seems to know more and more about the girls and their secrets. And all teenagers have secrets whether it is who they like, what they said to who or how things are going at home, in the crippling world of peer pressure some secrets are more damaging than others. So starts this series of twelve books to date which became a popular TV series. Interestingly the TV show doesn’t mimic the books, characters that died in the books stay alive in the series, things that happened in one don’t necessarily happen in the other. So you can’t pretend you read the books by watching TV, as a librarian I think that is excellent news! August, who is 10, is starting school for the first time. In and out of hospital all his life, before now he has been home schooled. He has a facial deformity which he explains by saying no matter how bad it sounds, the reality is worse. Inside he is just like the other kids, but will the other kids attempt to get to know him, or will they look away and snicker? This is an uncomfortable yet uplifting story with pages where you laugh and some where you want to cry. Very thoughtfully presented for readers of all ages. Once you look inside August you will be changed forever. I really enjoyed this book and recommend to readers 9+. 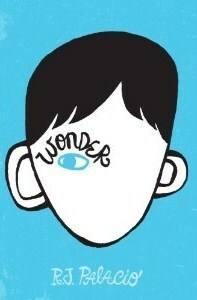 Strong kid characters, what was especially refreshing about it was that the hero is a boy in a wheelchair. Very empowering, relating how he tries to be independent as much as possible.